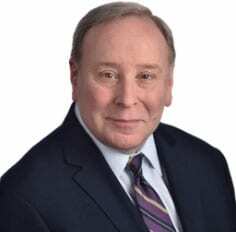 The U.N. Security Council heard testimony on Thursday about Israel’s conflict with the Palestinians from B’Tselem…writes Jonathan S. Tobin/JNS. The group, which dubs itself “The Israel Information Center for Human Rights in the Occupied Territories,” was there at the behest of the country of Bolivia. B’Tselem’s leader, Hagai El-Ad, sat alongside the representative of the Palestinian Authority and gave a speech that differed little from those routinely delivered at the United Nations by Arab and Muslim countries dedicated to Israel’s destruction. El-Ad’s speech was denounced by Danny Danon, Israel’s Ambassador to the United Nations, and Israeli Prime Minister Benjamin Netanyahu, both of whom made it clear that they thought it appalling for an Israeli group to not merely take sides against their own country, but to do so in a forum that is well-known for its prejudice against the Jewish state. Neither, however, disputed B’Tselem’s right to speak freely, whether in Israel or in New York. Nor should any friend of Israel. Despite arguments that Israeli democracy is under attack, it’s actually alive and well. The problem for most of those who criticize Israel in this vein is that Israelis keep electing Netanyahu and supporting policies that the left abhors. The interesting point about El-Ad’s speech is why people who purport to care about Israel—and support its right to exist and defend itself—continue to fund an organization that sides with those seeking its destruction and opposing its right of self-defence against deadly terrorist threats. That’s a question that deserves an answer from not just the many European nations and NGOs that give it and similar groups money, but also American Jews who, whether through grants from the New Israel Fund or directly, subsidize activities that the vast majority of Israelis consider not merely obnoxious, but bordering on treason. El-Ad spoke at length, as he did in a previous appearance before the Security Council, about what he considered his nation’s abuses in the territories. His point wasn’t to criticize the legality of specific measures. Indeed, El-Ad acknowledged that the law was on the government’s side in various controversial cases. 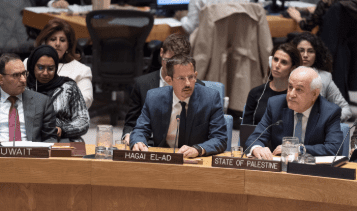 Hagai El-Ad, executive director of B’Tselem, addresses the U.N. Security Council on the situation in the Middle East, including the Palestinian question. Credit: U.N. Photo/Rick Bajornas. Rather, his position was that Israel’s presence in the West Bank is illegal. That includes its administration of parts of the area, as well security operations that help preserve the rule and life of Palestinian Authority leader Mahmoud Abbas against his Hamas rivals. What’s more, he also considers Israel’s defence of the border with Gaza—territory from which Israel withdrew every soldier, settler and settlement in 2005—to be equally illegitimate. That includes the naval blockade of the strip that prevents Iran from shipping in heavy arms and construction materials to build terror tunnels and other fortifications, as well as the ability of the Israel Defense Forces to prevent infiltrators from crossing the border and being free to commit mayhem inside Israel. To El-Ad and B’Tselem, every measure Israel uses to stop Hamas and other terror groups from carrying out their mission of spilling Jewish blood is immoral. What’s El-Ad’s proposal to deal with this problem? On that, he’s unclear, as B’Tselem has remained neutral on the question of whether a two-state solution is right or if one state is the answer, which in this context betrays at the very least a degree of neutrality on the group’s part about schemes that involve the end of the Jewish state. But what he does seem to want is for the United Nations to isolate and pressure Israel to stop defending itself, and to concede territory without the Palestinians being forced to make peace first. What should Americans think about this? Our attitude towards B’Tselem shouldn’t hinge on whether you support Netanyahu or settlements. No matter what you think about them, the notion that Israel’s presence in the West Bank is illegal is without substance. Israel is the legal occupier of land that is in this case without a legitimate sovereign owner. The West Bank wasn’t legally Jordanian territory, nor is it the property of an entity (the Palestinian Authority) that has no sovereign rights to govern there. Until a peace deal is signed between Israel and the P.A., the Jewish state is, according to international law, the legal military occupier because it came into possession of them through a defensive war. Despite repeated offers from Israel, the P.A. has refused to make peace and recognize the legitimacy of a Jewish state—no matter where its borders are drawn. Unless and until that happens, Israel is obligated to govern those parts of the West Bank that it has not already conceded to the P.A. Nor need you back Israel’s right-wing parties to support security measures meant to isolate the terrorist state in Gaza governed by Hamas. So while B’Tselem’s taking sides with Israel’s enemies in a forum renowned for its anti-Semitism is certainly legal, it is not consistent with liberal Zionist stands in favour of the country’s rights, but which oppose settlements. In other words, you can be against Netanyahu, but also against a group that calls for the world to gang up on Israel, and makes egregious and libellous comparisons between Israel and the Jim Crow South and apartheid-era South Africa, which is an insult to African-Americans, South Africans as well as Jews. That’s why those who consider themselves friends of Israel should think twice about making donations that put them on the side of those working against the legal and entirely appropriate efforts of the Israel Defense Forces and the Jewish state’s security. In refuting El-Ad at the Security Council, Danon angrily noted that what he was doing was a form of collaboration with the enemies of the Jewish people. Those are harsh words, but in this context, they are understandable, and almost certainly echo the sentiments of the overwhelming majority of Israelis who, regardless of their political affiliations, know that the IDF is all that stands between them and death. It’s time for well-meaning but misguided liberal Zionists to realise that support for B’Tselem has nothing to do with advancing the cause of peace. Criticism from within is somewhat different to criticism in a UN forum while seated beside the ‘State of Palestine’ delegate. B’Tselem is a legitimate part of Civil society in Israel. If the current govt. of Israel can’t abide criticism from within it has no right to call itself a democracy.